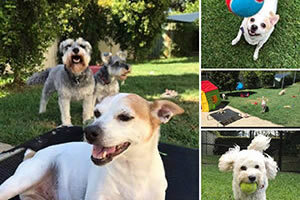 SmallPaws Pet Hotel is the only pet hotel in Potts Point and wider Sydney that cares exclusively for small dogs. Small dogs settle much easier in our non-threatening environment. We accept dog boarding guests from all over the city, including the North Shore, the Northern Beaches and the Eastern Suburbs. 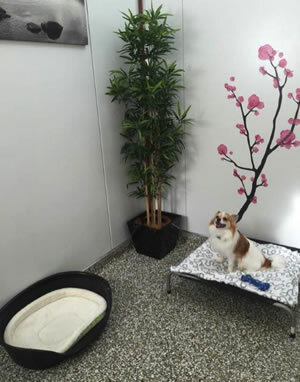 Unlike traditional dog boarding kennels, we provide a home away from home ambience for all of our little dogs. We truly care for all of our guests, so naturally lots of exercise in one of our grassed areas or indoor play area is included for every guest. 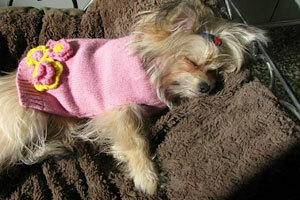 At SmallPaws, we also believe that lots of human interaction helps dogs to settle in and feel at home. Our philosophy is that all pets in our care receive the same love and care that we would give to our own dogs. 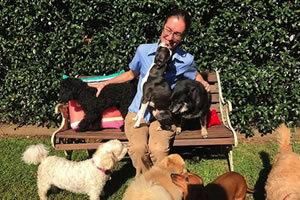 All of our boarding kennels’ guests are known individually by name. 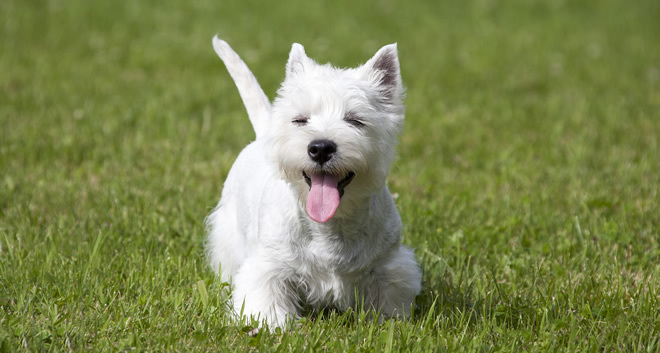 At SmallPaws – we don’t charge extra for exercise – and weather permitting, our guests can be outside in our kennels’ grassed gardens for most of the day. We also have a large indoor play area which is air-conditioned and heated. All of our accommodation is also fully air-conditioned and heated. There is a choice of menu of Tuckertime Chicken and Vegetable Roll, VIP Adult Dog Gourmet Food Roll, My Dog (variety of flavours), Barf, Black Hawk Grain Free Biscuits and Supercoat Small Breed Biscuit. Each level of accommodation has pampering inclusions (please refer to Our Accommodation), but extra pampering services can also be added separately (please refer to Pamper Plus Services). Morning wake up starts with a run outside our boarding kennels to ‘attend to business’ and checkout what has been happening in the neighbourhood since the previous day. During this playtime, every pet gets a cuddle and check over to ensure everyone is happy and healthy. Morning medications are then dispensed, and breakfast for those who need it. Our guests are then separated into their daily play groups with compatible four-legged friends. activities of their carers. Exercise is available all day in one of our large grass yards. During the afternoon there are more cuddles, ‘health checks’, pampering plus activities complete (optional extra), bath time along with more sleeping and playtime. Late afternoon it’s dinnertime and back to the rooms for rest and more cuddles. Evening medication is then dispensed and a final good night tuck in. 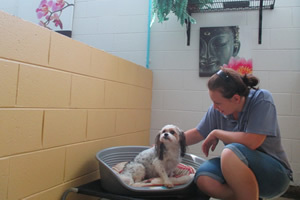 All of the accommodation in our boarding kennels is heated and air conditioned. The Pucci Suites are luxurious, spacious bedrooms, a true home away from home – far above traditional dog boarding standards! The 5 star fully enclosed rooms offer tranquility and privacy for our more pampered guests. Each room has soft furnishings with a single bed, (with steps), a TV, toys and a chair to lie on. All Pucci Suite guests receive a choice of menu, use of the indoor play area and a complimentary spa bath and blow dry. Our guests have the choice of solo occupancy or sharing with a friend. Extra pampering options are available on request. Deluxe Suites are light spacious rooms, they have comfortable dog beds, dog toys and will be shared with a compatible friend. Also included for our deluxe dogs is use of the large indoor play area and a complimentary spa bath (minimum board 2 nights). Extra pampering options available on request. Recently refurbished, the Premium Lodge rooms offer greater comfort than the standard Lodge rooms. With fewer rooms, each guest enjoys a more personalized service as they snuggle down into their thick blankets. The Premium Lodge guests can enjoy the view through the full-length windows, as their personalized dinners are served on stylish dogware. Guests sleep either singly or with a suitable friend. Complimentary spa baths are given the day prior to departure after a minimum stay of 4 days. *surcharges apply for solo occupancy during our high season. The Lodge is a large, light filled room with separate enclosures. Each guest enjoys their own dog bed and blanket. Guests sleep either singly or with a suitable friend. Please checkout our Facebook page and the Testimonial page of this website for more photos!